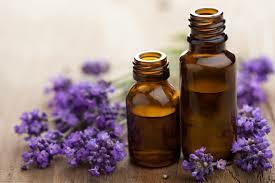 Essential Oils are the aromatic compounds of plants extracted from seeds, flowers, bark, leaves, and/or roots. They are carefully steam distilled or cold-pressed to keep the plants powerful healing compounds alive. Essentials are 50 – 70 times more powerful than herbs. For example, one drop of Peppermint Certified Pure Therapeutic Oil equals twenty-eight (28) cups of Peppermint tea! How are some different from other oils? There are many grades of essential oils on the market. Due to lack of regulation, you don't always know what you are getting. To ensure and guarantee oils are 100% natural and free of pesticides, chemicals, fillers and cutting agents, tests are done on every single bottle of every batch of oil in an independent laboratory with Gas Chromatograph and Mass spectrometry testing procedures. This is the power of Essentials Oils. Upon using, the difference from other oils is immediately apparent. Aromatically—Use 4 drops in a diffuser (or make your own diffuser.) Or, put a drop of oil in your hands, rub together, cup over your nose and inhale. If your skin feels sensitive to an essential oil when used topically, dilute with oil (olive or grapeseed,) NOT water. Water will drive an oil in faster. This is great if that is your intention! If you aren't getting desired results, increase frequency of use! Call us if you have questions. BRANDING…"The process involved in creating a unique name and image for a product in the consumers' mind, mainly through advertising campaigns with a consistent theme. Branding aims to establish a significant and differentiated presence in the market that attracts and retains loyal customers." Next, listen as Allyse Sedivy, top business woman in Essential Oils, takes Ronnie's statements about himself and creates a "Brand Identity" for him and Childrens Bread Essential Oils. 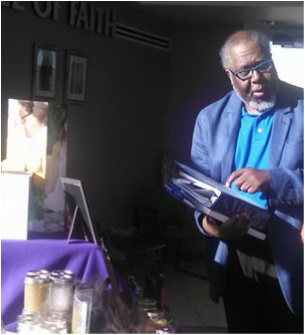 This took place at a Branding workshop in Mesa, AZ, November 4, 2015. Then check out an introduction video below and our "Essential Oils 101" guide!